In the heady world of game remakes in 2016, you’d be forgiven for Constructor HD having slipped under your radar. It’s a reconstruction (eh? EH?) of Constructor, a 1997 city-management/strategy game with a very british sense of humour and a lot of streotyping. 19 years later, the same company, System 3, are making a follow-up. It’s been delayed just a little bit longer so they can “get it right.” As way of apology, they’ve revealed some of the new and updated features making it in. In the interim, try something from our picks for the best strategy games. In a press release, System 3 confirmed that the game was now targeting ‘late summer’ for release. In months, that’s August-September time, meaning it’s a while off yet. They say that this delay is a big disappointment for everybody, but necessary to make the game as good as it can be. On that front, they’ve announced what they’re currently working on. There’s a tutorial and hefty in-game manual to shave off some of the more frustratingly difficult edges of the original game and help with, as they put it, brain-fade moments. The audio team has been hard at work on newly-created voice lines by a “proper geezer.” Meanwhile, there’s to be a level designer mode as well. 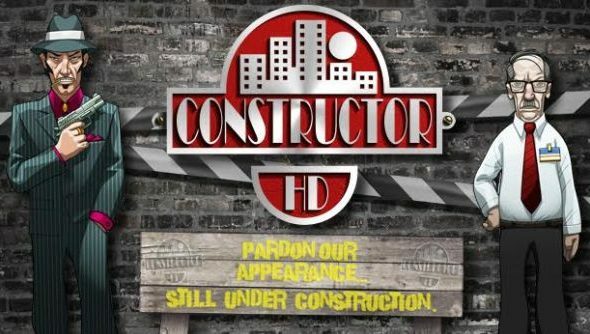 For more on Constructor HD, have a look at Matt’s preview and interview from last year.